With the election still hot on many people’s minds, it is easy to often get overwhelmed with changes the new administration may bring. While the media often does not cover many aspects of changing policies, it becomes increasingly important to stay updated with how new leadership will impact truck driving jobs in the next four years. One of the largest changes this new administration will have within the trucking industry is Trump's plan for a massive infrastructure overhaul. Before he was sworn in as President, he realized the importance of bettering the roads that are responsible for so much transport after the American Society of Civil Engineers (ASCE) rated the overall infrastructure of the United States a D- in 2016. It was then he proposed a long term plan costing $1 trillion dollars to fix and rebuild problematic stretches of roads, bridges, and ports – this is $941 billion more than was originally planned to be spent over the next ten years to solve the same problems. While massive fixes in infrastructure are undoubtedly a great idea, as of today, Trump has not detailed what his plan is to consist of or met with Congress on the overhaul. However, on February 20, Rasmussen Reports, who have conducted public polls since 2003, released the finding of their survey on taxes being used to fund the improvement of infrastructure. The report concluded that a majority of the 1,000 people surveyed do not wish for higher taxes as a source of funding. While that is a large representation, the survey also found 45 percent were willing to pay more taxes each year. What is more interesting is how much extra people would be willing to pay with 14 percent of that 45 percent saying they would be willing to pay $50+ each year and 15 percent willing to pay an extra $100 each year for the improvements. Ten percent agreed they would pay $250 yearly, while six percent said $500 paid in extra taxes yearly would be fine. Of the 52 percent of people who said they would not be willing to pay any more in taxes to support upgraded infrastructure, 19 percent said they would pay nothing, but 33 percent said that funding should be paid for from other spending cuts. Though this survey had only 1,000 participants, Rasmussen Reports gave an incredibly low margin of sampling error of -/+ 3 percentage points, for an overwhelming confidence level of 95 percent. Earlier this week, on February 15, the United States Senate Committee on Commerce, Science, and Transportation was opened up for their first meeting of the 1155th Congress by Chairman Deb Fischer. Along with a panel of top trucking leaders, they discussed “Moving America: Stakeholder Perspectives on Our Multimodal Transportation System”. Much of the meeting centered around the massive challenges funding infrastructure projects leads to. While Fischer spoke highly of the current Fixing America's Surface Transportation (FAST) Act, she did mention that there is still much work to do, especially considering the Highway Trust Fund will have a deficit of over $100 billion within the five years after the FAST Act expires in 2020, according to projections from the Congressional Budget Office. While that may sound complicated, the HTF is responsible for allocating money from federal transportation to states to help pay for needed infrastructure. Due to this massive impending deficit, Fischer has introduced a new act entitled the “Build USA Infrastructure Act”, modeled after the act adopted by Nebraska to fund transportation. As the bill was only introduced on the first of February, it has only been read twice by the Senate and then referred to the Committee on Homeland Security and Governmental Affairs. As mentioned before, it is based off of a bill, and later law, she championed as a state Senator in the Nebraska Unicameral for funding problems faced by state-wide surface transportation needs. One, which is what the proposed Build USA Infrastructure Act is largely based on gave the Nebraska Department of Roads the heavy responsibility of developing, “...the Federal Funds Purchase Program. In exchange for giving up a portion of federal transportation dollars, Nebraska counties and towns can now receive funds with more reasonable regulatory requirements.” Along with wanting to translate this to a nation-wide measure, she also mentions her support of the Build Nebraska Act, which took a percentage of each cent gained through sales tax to dedicate towards exclusive spending on the state's roads and highways. While she does say this is going to raise more than $1 billion for the state's road infrastructure, it will also take 17 years for that money to be collected. As mentioned before, the HTF will be in over $100 billion in debt by 2026, less than ten years from now. According to Fischer's proposed bill, it would be funded through $21.4 billion annually being taken from money collected through the Customs and Borders Patrol (CBP) on both semi trucks and passenger vehicles. She attributes the fact that the CBP does not use all of their revenue for operations to the projected success of the idea. Also, that amount will only be diverted from the CBP for five years – accounting for a total of $107 billion dollars. The proposed Build USA Infrastructure Act obviously has many kinks that need to be worked out if it to be implemented correctly and widely accepted, but it does offer the one thing that many Americans have decided they do not want to impose for any sort of infrastructure act or improvement: this does not increase the amount of taxes paid by Americans. What is also important to consider in the early days of Trump's presidency along with waiting for his plan for transportation is the new United States Secretary of Transportation, Elaine Chao. 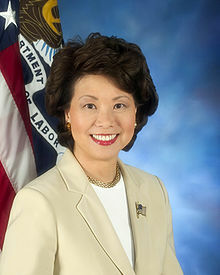 It is interesting to note that she has a long history of serving in cabinet positions as she was Secretary of Labor for George W. Bush and also served as Deputy Secretary of Transportation under George H.W. Bush. It is this history with former presidents which make it known that she is often in support of an increase of partnerships between public and private sector partnerships to solve infrastructure problems. She also believes this is mostly achievable through lighter regulatory barriers on the behalf of the private sector. 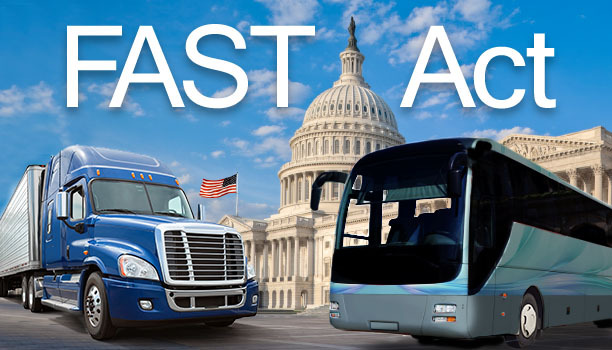 While Chao met some opposition from Democratic Senators, she received an overwhelming 93 votes for her appointment as Secretary of Transportation and has seen a great deal of support from those with trucking jobs. Though she has only been part of Trump's cabinet for less than a month, within her first week Chao met with the American Trucking Association's Infrastructure Task Force to discuss the future of infrastructure improvements. This task force was created upon Trump's election due to his already stated interest in infrastructure. According to the co-chairman of the task force, David Congdon, the ATA sees that even though the trucking industry as a whole commits a lot to the HTF and other sources for funding the construction and maintenance of infrastructure, much more needs to be done to ensure the industry remains up-to-date. This shows exactly how important it should be to all truckers to be aware of the changes that will come to infrastructure in the coming years. The more aware the driver population is, the more impact they can have on the changes and knowledge about potential changes to trucker jobs, meaning a nation and highway that better reflects that dedicate so much of their time traveling it. 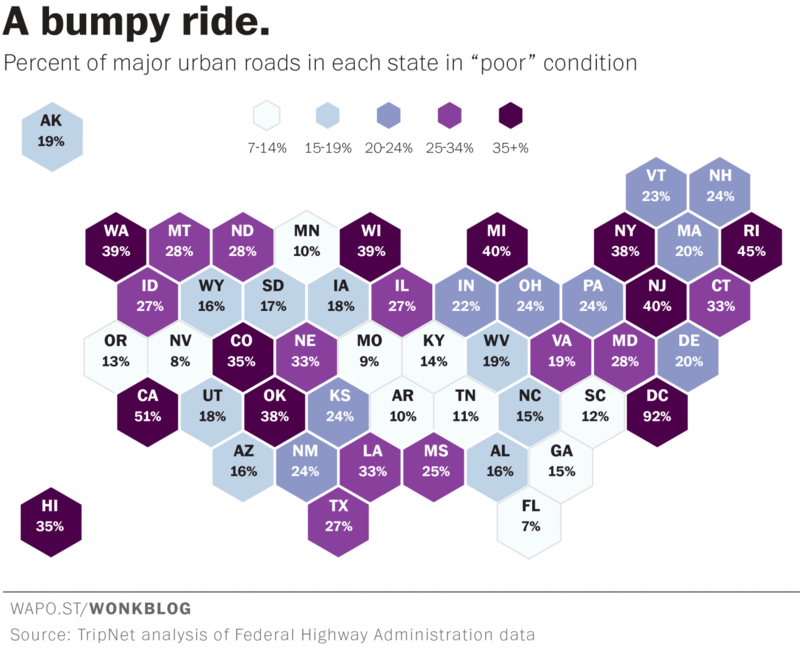 Another aspect that shows some sort of plan for updating infrastructure soon is the American Transportation Research Institute recent release of the 100 worst areas around the nation for truck congestion, or bottle necking. With data from over a half-million GPS devices in 250 areas along America's highways, the information allows policy makers to see just how bad the current infrastructure can hinder trucking. This report has had impressive results in the past as it was the leading factor for Chicago's decision to reconstruct the Chicago Circle Interchange that began in 2012. This is a great source of evidence to see just how and where both state and national governments should focus resources in order to prevent excess spending. Without regard to political belief, it is obvious a change needs to come to infrastructures status quo. While there is no definite plan yet, it is becoming increasingly apparent, even within the very early days of Trump's administration that there is a definite need and want for a change to the current transportation infrastructure, especially within the trucking industry. 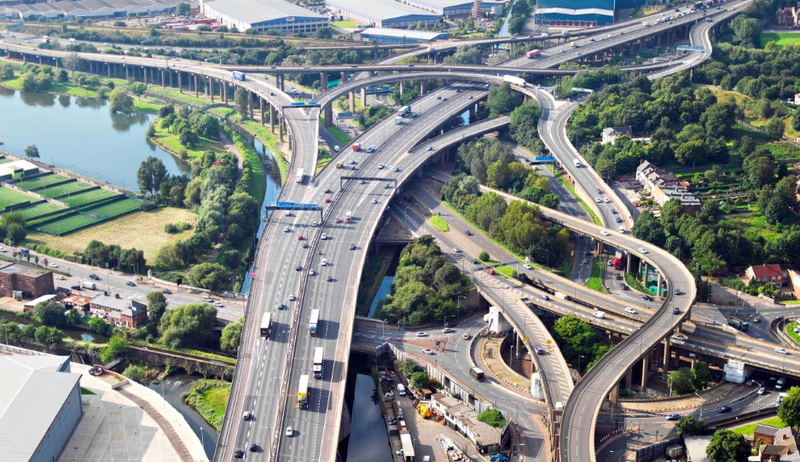 The sooner new ideas for infrastructure can be approached, both in building and repairing and addressing the problem of funding, the sooner amendments and implementation can begin.